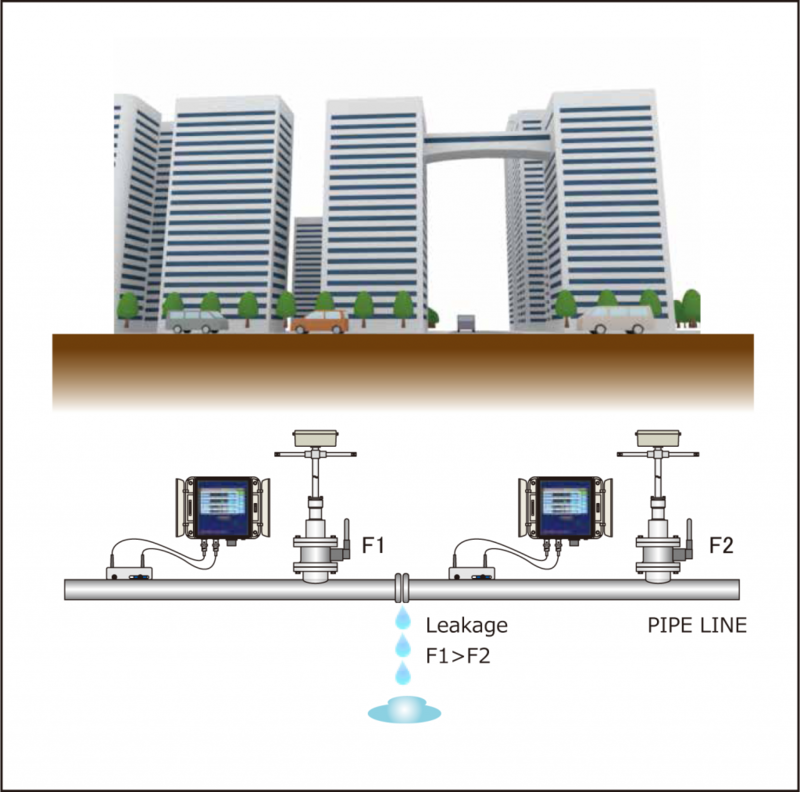 NINJA – Leakage Detection | ICT. co., ltd.
Any leakage in a cityʼ s water supply is a huge problem. Because of such leakages, huge amounts of funding are lost. However, it is extremely difficult to pinpoint the locations and details of a leakage. Because the NINJA has an ultrahigh resolution and is also able to measure the smallest flow rates that canʼ t be detected by other flow meters, it is perfect for detecting these leakages. Specifically, you can use two NINJAs as a leakage-detecting unit. Furthermore, the NINJA can operate on battery power, so the flow meter can also be used as a portable detector. In fact, if a car battery (24 VDC) is installed, the NINJA can be used for a full week continuously.